When I worked in a bakery, our recipe bible was kept in a floured, chocolate stained three ring binder. Inside the pages held lists of the amount of ingredients for certain recipes and little else. There was no procedure or method, no baking times or oven temperatures. It was not even unusual for the occasional recipe title to have gone missing. In a way, this all made sense—a qualified baker should already be familiar with the preparation of the majority of baked goods. 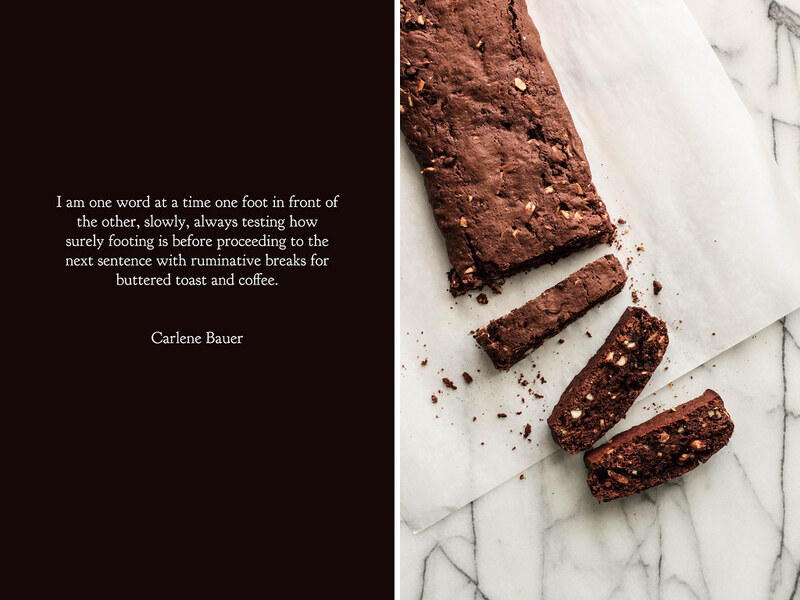 As I got a hang of the routine and the techniques, soon the recipe bible became a reference guide instead of a necessity as the lists of ingredients embedded themselves into my mind. 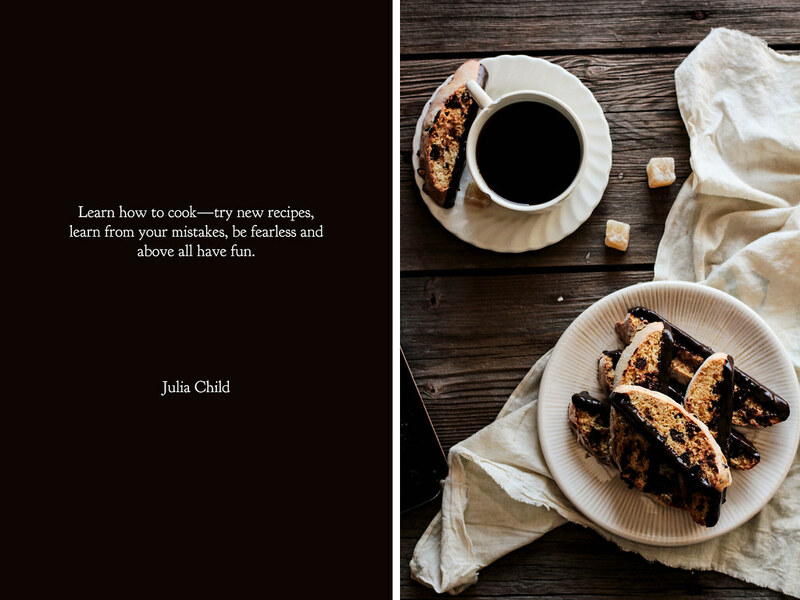 Approaching recipes in this way became a habit; a habit that has followed me out of the bakery and into my own kitchen. 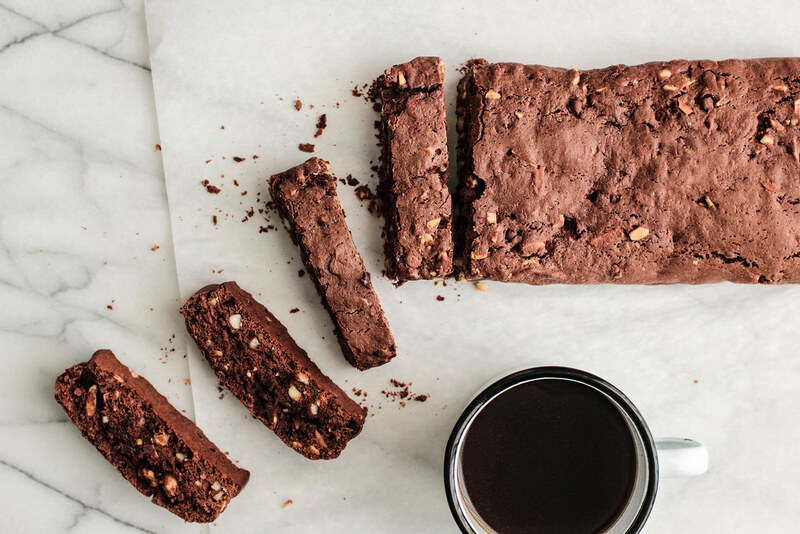 When it comes to my own kitchen, I can develop my own recipes fairly successfully—a little of this, a little of that, and it tends to come out of the oven looking right. However, when it comes to following someone else's recipe, I tend to falter. As accustomed to ingredient lists as I have become, I barely glance down at the rest of the recipe before pulling ingredients out of the cupboard. As you may imagine, this method usually turns out quite poorly. At times I have missed the mark so greatly, I might as well have invented something completely different. I like to joke that I am losing my ability to follow recipes, but the truth is that I need to remember to actually read them. It is a small, but important distinction. Snowed in with another blizzard last weekend, I spent some time browsing through the pantry. Without the ability to head out to the market, the cupboards became my inspiration. 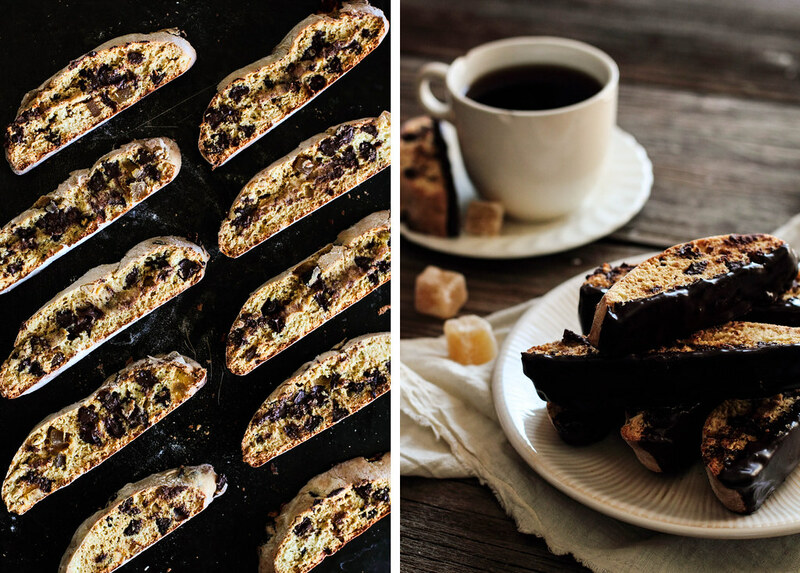 As I debated whether to share another cookie recipe, I realized that I had never made biscotti. After properly reading through a dozen recipes for reference, I set out to create my own version. 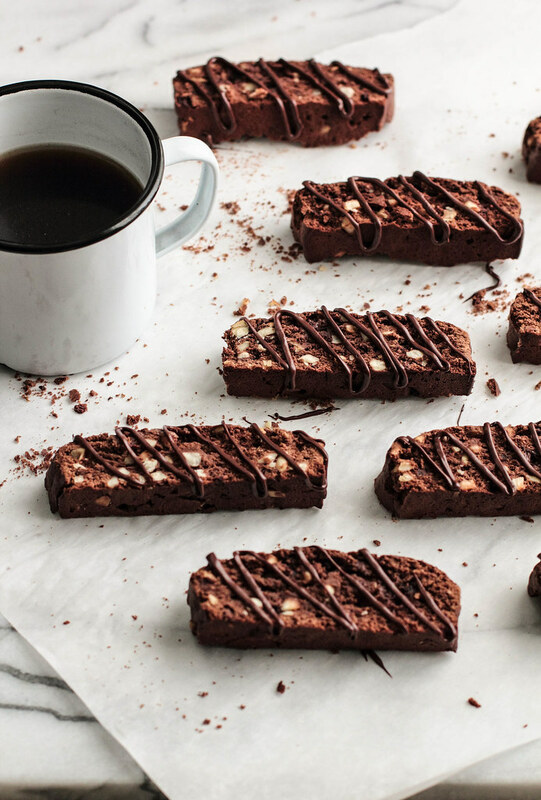 Biscotti is a bit like a cookie baked in a unexpected manner. 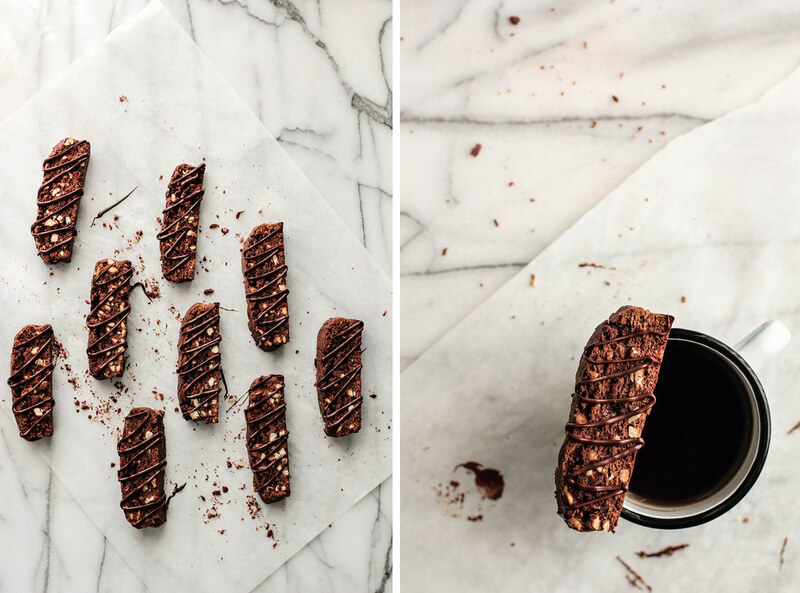 While most biscotti sold in stores or coffee shops is bone dry, by making biscotti in your home you can determine the texture by adjusting the baking time. The less time you bake it, the softer it will be; the longer time you bake it, the crunchier it will be. In a way, it is a like a choose your own adventure book (except it is a really delicious snack). 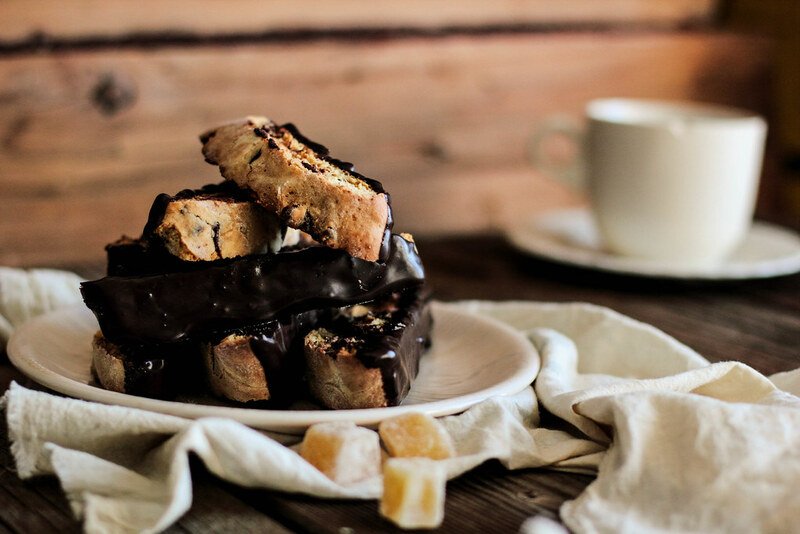 Chocolate Candied Ginger Biscotti is a sweet and spicy bite to enjoy with a cup of coffee or tea. 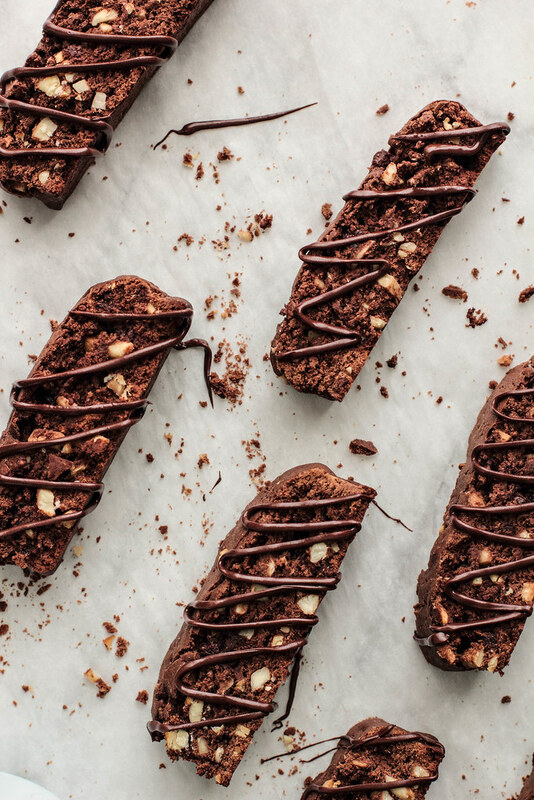 Essentially, biscotti is made by baking cookie dough into a log shape and, after removing it from the oven, cutting it into slices and baking it again. 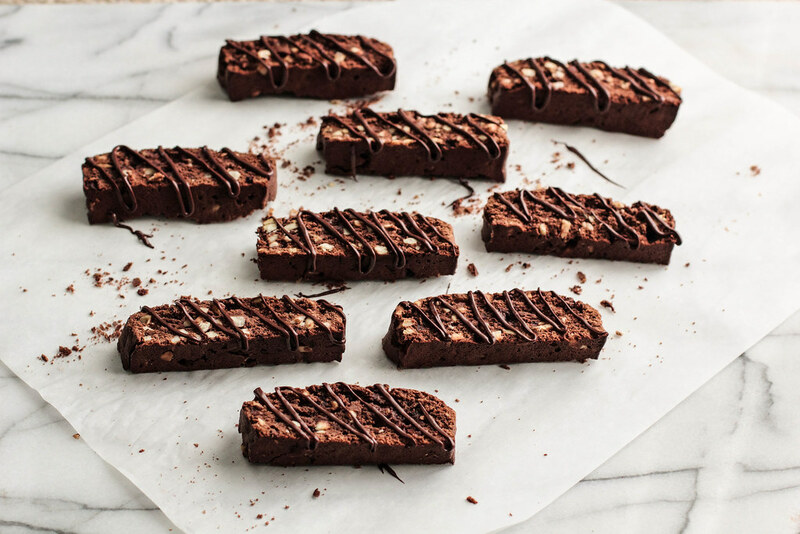 The mellow tone of the chocolate contrasts nicely against the bite of candied ginger. 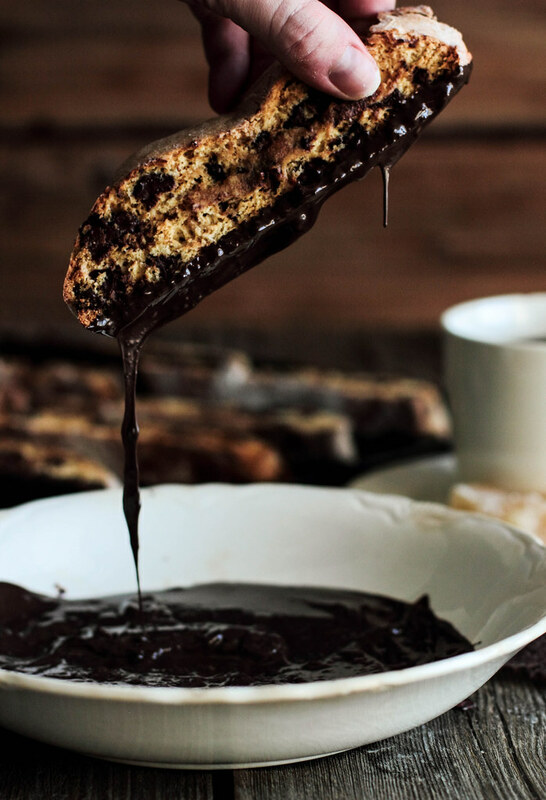 The biscotti is dipped in chocolate for an extra touch. 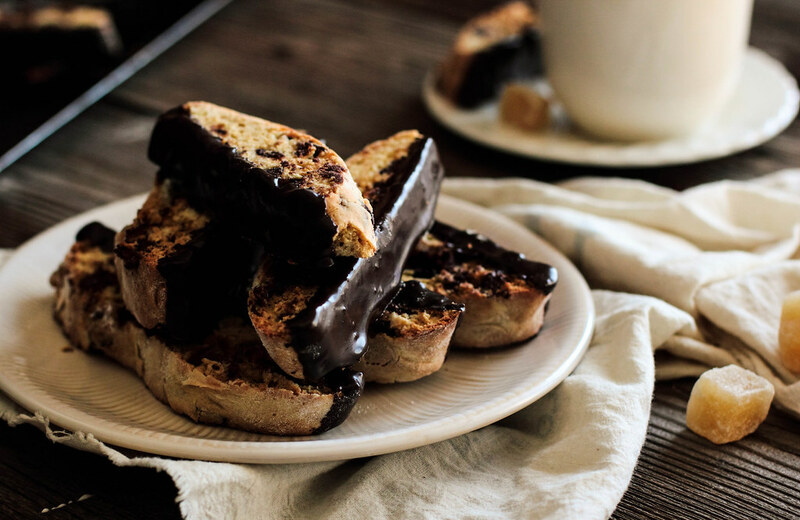 On Sunday morning for breakfast, I savored one of these slices of biscotti with a hot cup of black coffee. It was bliss.